A stylish look with some of Fall's hottest trends. 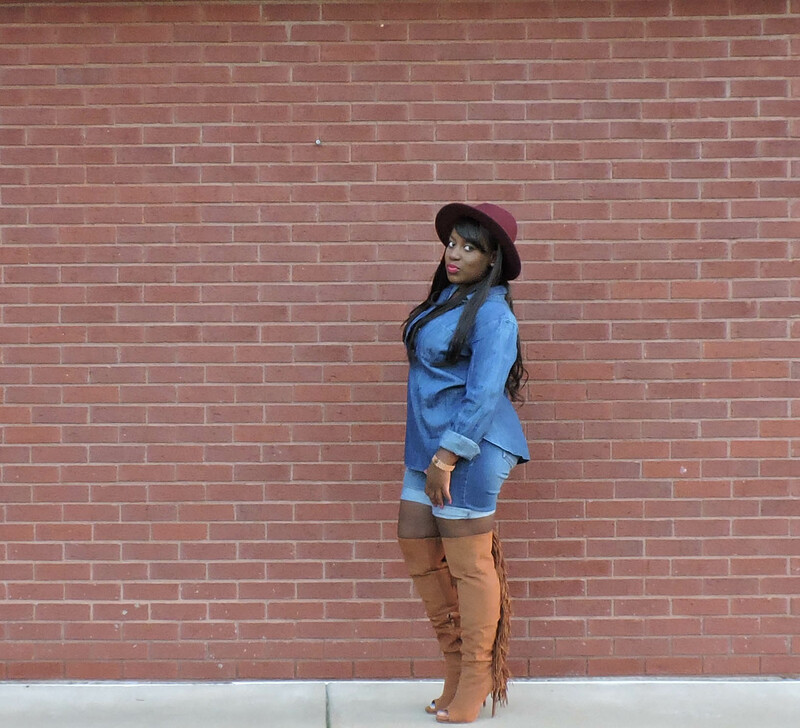 Fringe peep toe knee high boots styled for inspiration. Click the link to update your wardrobe.